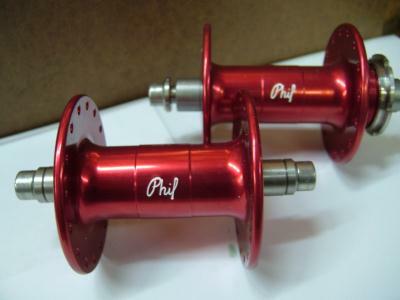 Description: These are classic-high flange hubs made by Phil Wood.32 holes rear hub with 120mm spacing.These hub features a stainless steel bolt-on axle design made for allen key removal. These hub features percision sealed bearings and hardware. They are fixed to fit a regular(shimano,phill,campy,etc.) cog with a 1.370" x 24 T.P.I. and are supplied with a stainless steel lockring that is 33.5mm x 24TPI that is Campagnolo compatible. made in USA.